On Skiurlaub-infos.com you can find helpful tips for winter sports and winter ski holidays in many ski areas in Europe. Here you will find everything needed for your ski holidays – beautiful snow sceneries, cheap ski holidays accommodation and the best opportunities for skiing. On Skiurlaub-infos.com you will find many tips and pieces of information regarding ski specials, events and trips. 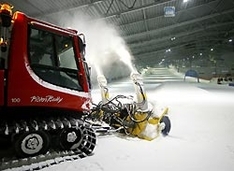 If you want to spend your winter ski holidays in Germany, Austria, France or Switzerland – then you will easily find information about this winter sports, ski holidays accommodation, ski passes in the Ski Holidays section on Skiurlaub-infos.com. 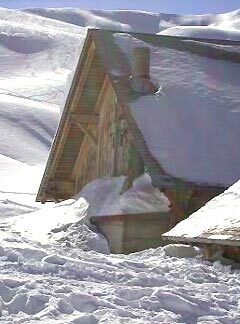 Cottages, holiday houses or apartments can be easily found in the section ski holidays accommodation. In this section you can also book holiday accommodation on-line. Please, note that Skiurlaub-infos.com is not the owner of skiing properties or lodgings. All offers come directly from the tour operators or individuals so inquiries for booking are approved by above mentioned companies or individuals. Since August 2009 new offers for ski holidays accommodation and lodging for 2009 /2010 season are already available. For instance, you can find and book on-line your Easter holidays 2010. News and seasonal specials that make ski areas even more attractive can be easily found in the Ski News section. Don't forget to book a holiday home online for your ski holidays in Austria, France, Switzerland, Italy and Germany. 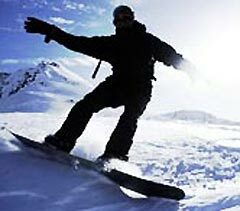 Ski holidays accommodation for winter sport fans can be found in almost all ski areas around the world. Skiurlaub-infos.com wishes you nice holidays! Slovakia is famous among the tourist due to the excellent opportunities for family vacation. Summer cottages, villas, appartments as well as hotels are vaiting for tourist in Slovakia. And take your family with you! Czech Republic is notable for very long and interesting history as well as rich culture. If you are interested in visiting historic sites and monuments do not miss you chance to visit the Czech Republic. Different type of tourist accommodation options can be easily found here: from hotel rooms to luxury villas. Lithuania is a truly democratic tourist state. Different types of tourist accommodation can be found here: from budget hostels to luxury 5* hotel complexes. But no matter what you choose - you will enjoy you vacation in any case! Holidays in Venice are something more than just a trip to a beautiful Italian region. Venice is a vault of art, a paradise for water sports and sailing, and a place where the Story of Romeo and Juliet took place. Holiday homes in Venice can be booked directly at veneto-net.com.